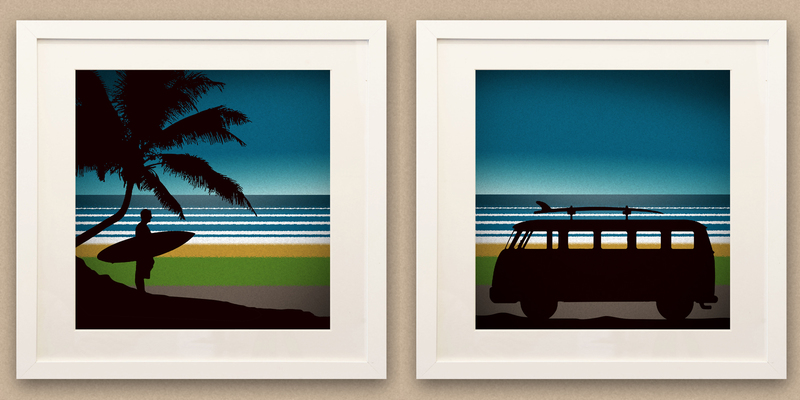 Couple of recent surf artwork I created in Adobe Photoshop. – Simple clean lines and a sense of depth achieved by using regular geometric spacing. 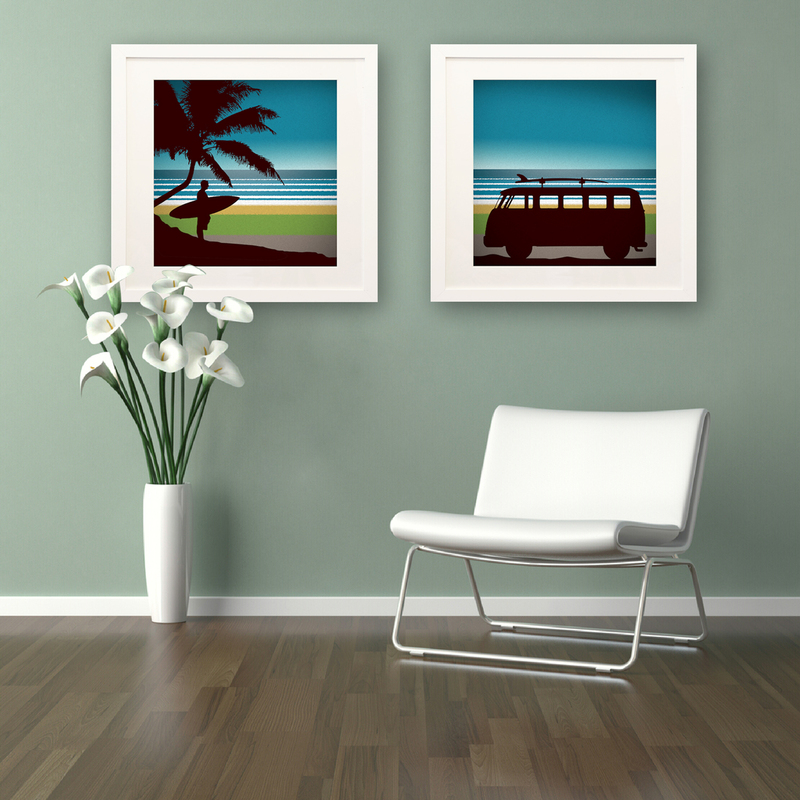 The two pieces are designed as a diptych to be hung side by side. 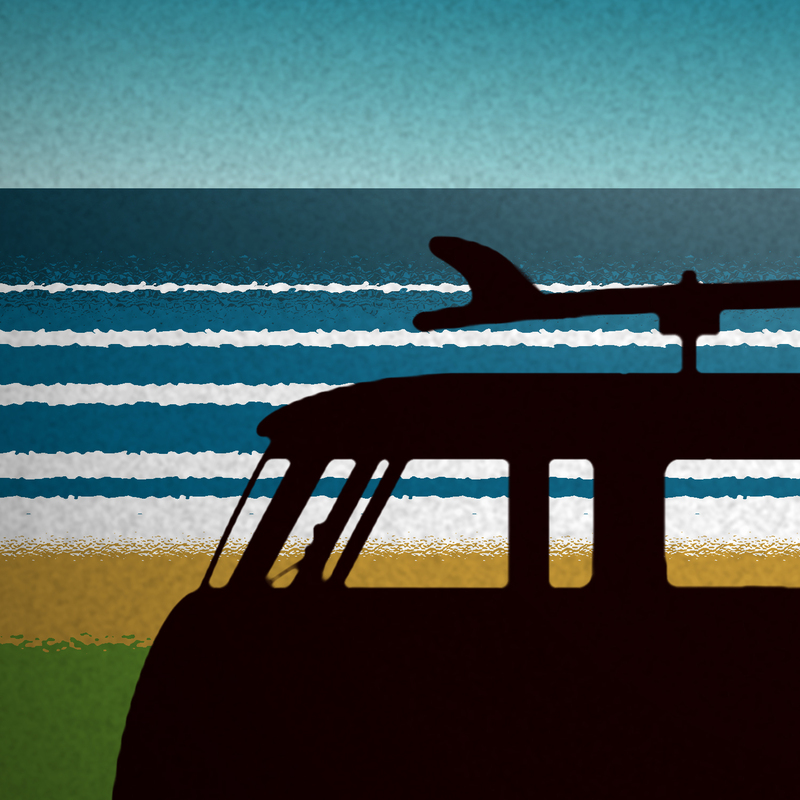 I love surfing but haven’t been to Tynemouth or Blyth for too long now. 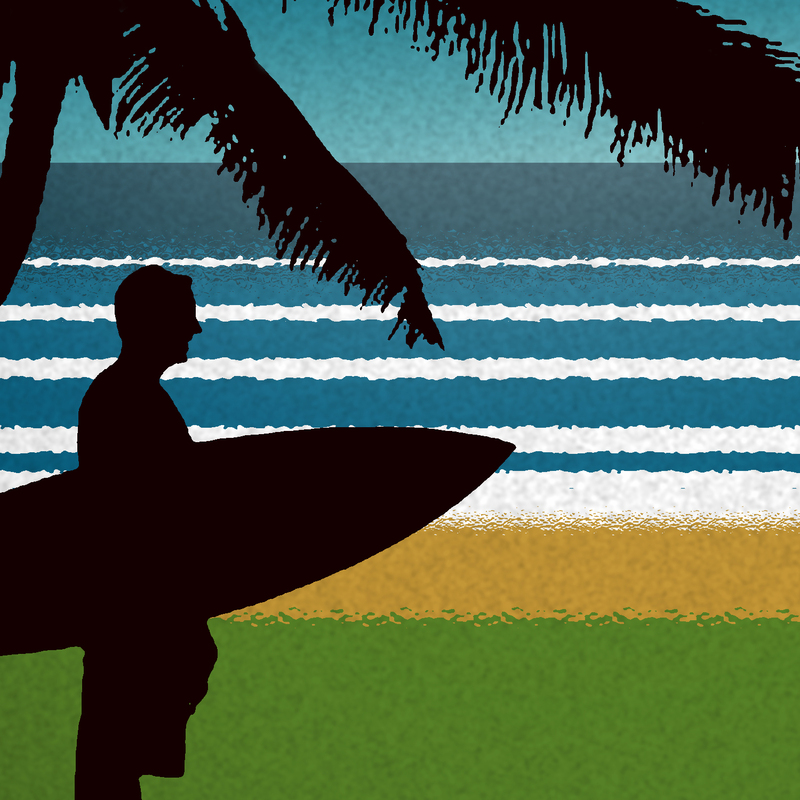 I plan to make 2014 a very good year for me and surfing …. Even if the north sea is a little chilly sometimes. As always, comments and opinions are more than welcome. Edit! buy them now! CLICK HERE! The Doctor is getting on a bit. To celebrate, here is a few bits of art I created on a Doctor Who theme. Click an image above to view the images in full. 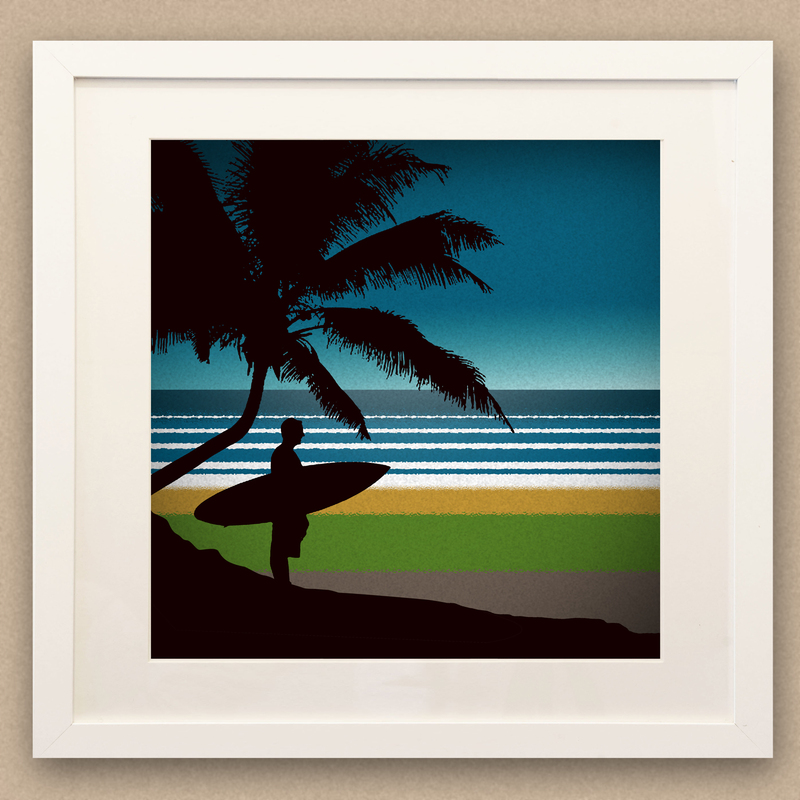 You can purchase the illustration pieces as prints, cushions and more at my Society6 page – Click here! Prints also now available at my own art shop! 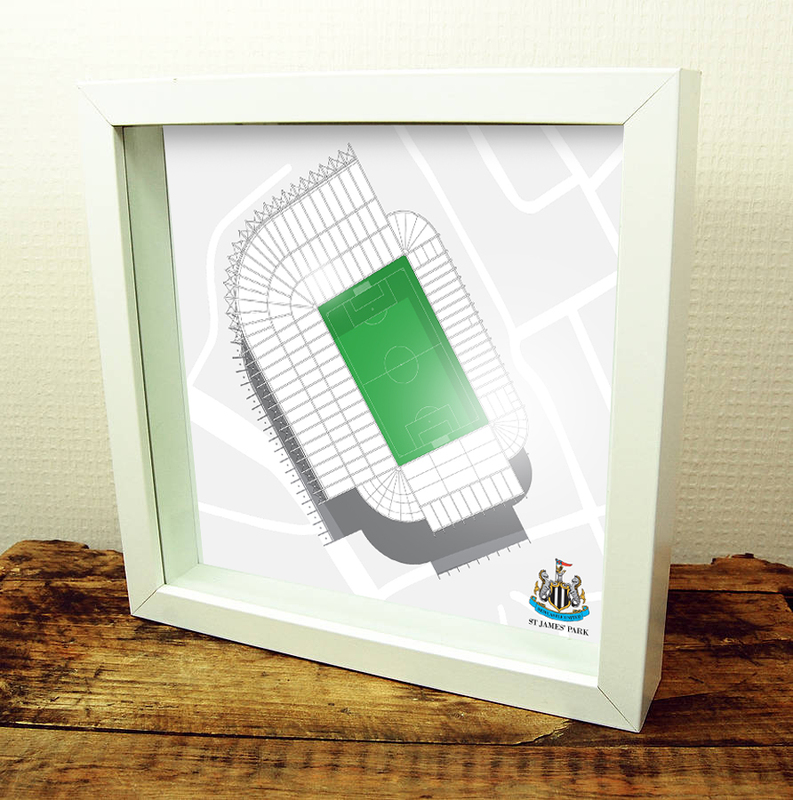 Prints personalised or signed on request. CLICK HERE! 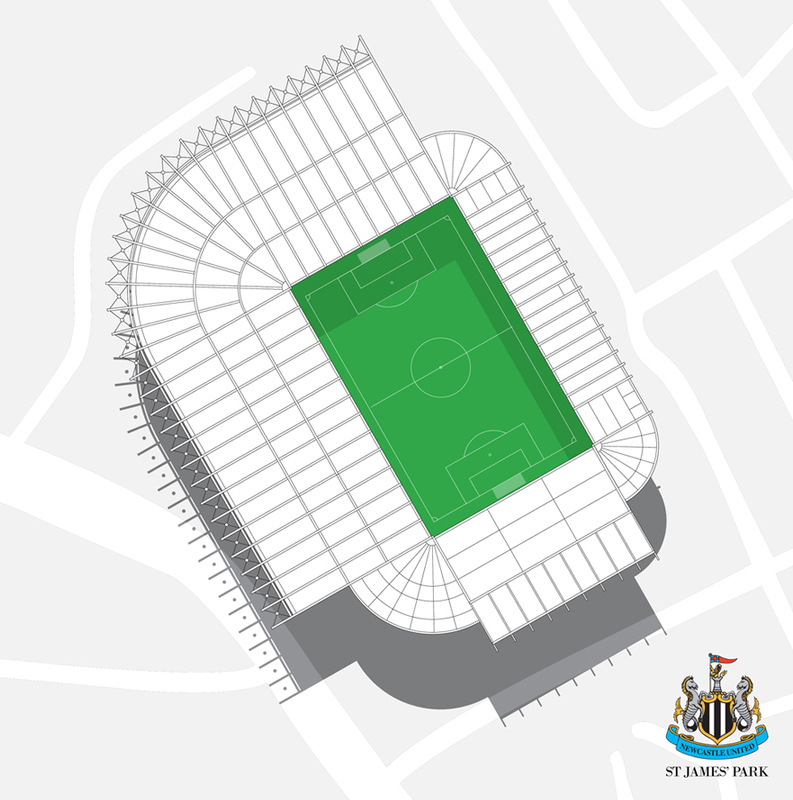 As a fan of Newcastle United I wanted to make a piece of artwork simple, striking and (I think stylish) 😉 Drawn accurately to scale and at the correct compass orientation, this artwork shows St James’ Park from above (without the usual grey clouds). 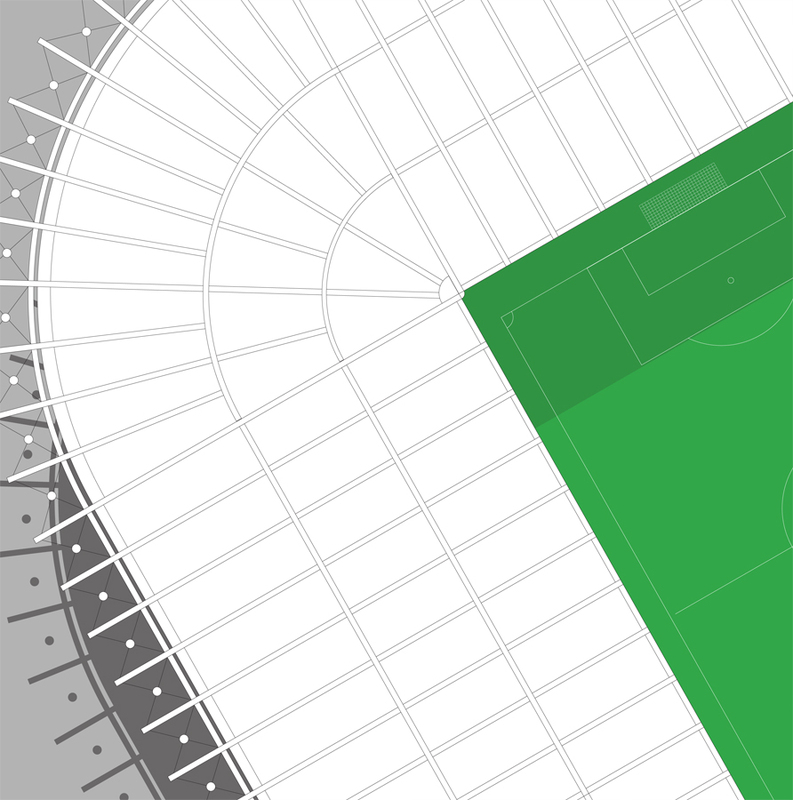 Simplified line art similar to architectural an architectural plan of the stadium.I would love to be a regular attendee to this amazing stadium but money and time seem to conspire against this. Artwork was created as vector line art by myself using Adobe Illustrator so can be scalable to print in detail at any size. 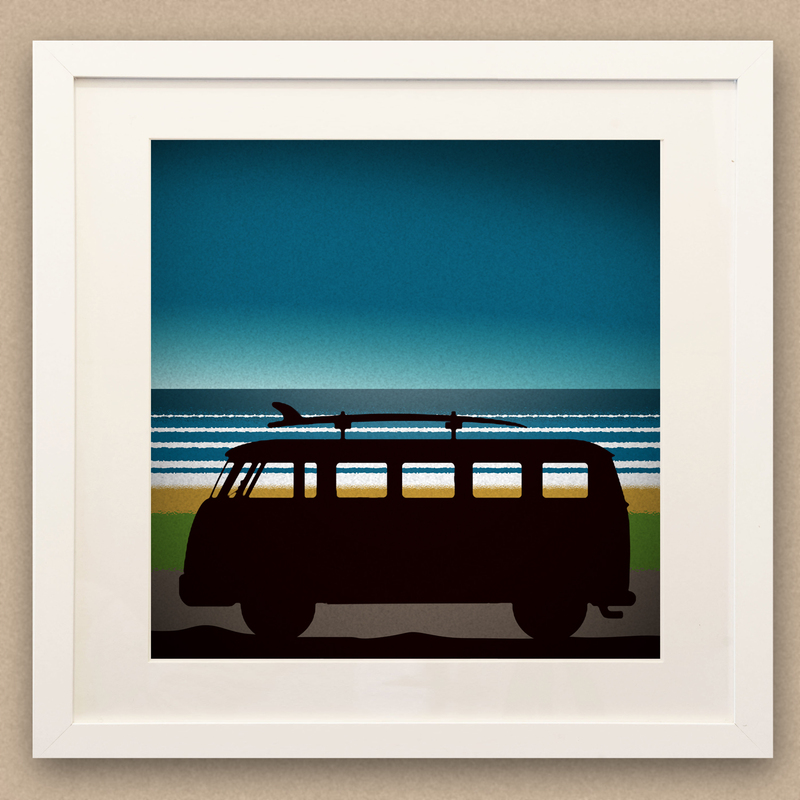 Now available to purchase – Not available anywhere else – CLICK HERE! Please comment and let me know what you think. Happy for feedback and ideas. 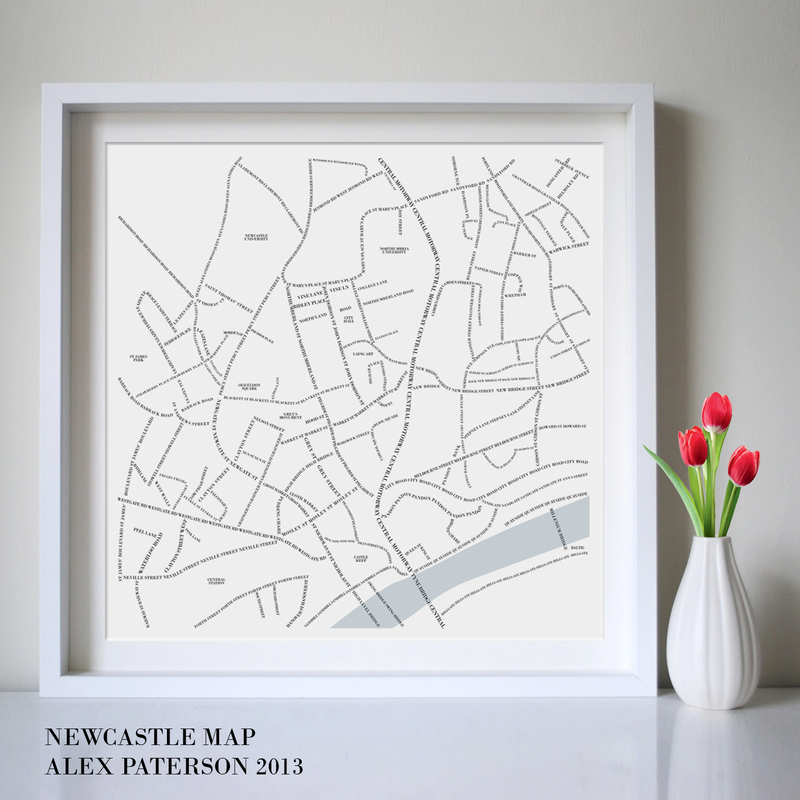 I created this typographic map of my home city, Newcastle Upon Tyne as a personal project to go in my studio. 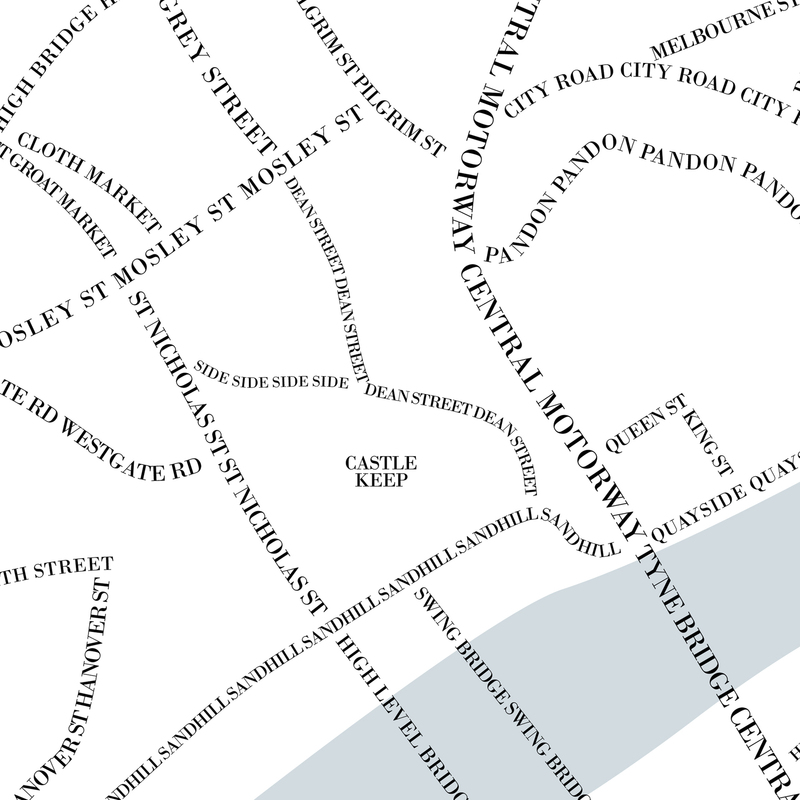 I’ve lived in Newcastle area all my life yet never really took notice of the actual street names. Weirdly it was quite enjoyable creating this map, but I’m not keen on creating any similar pieces (doesn’t mean that I won’t though). 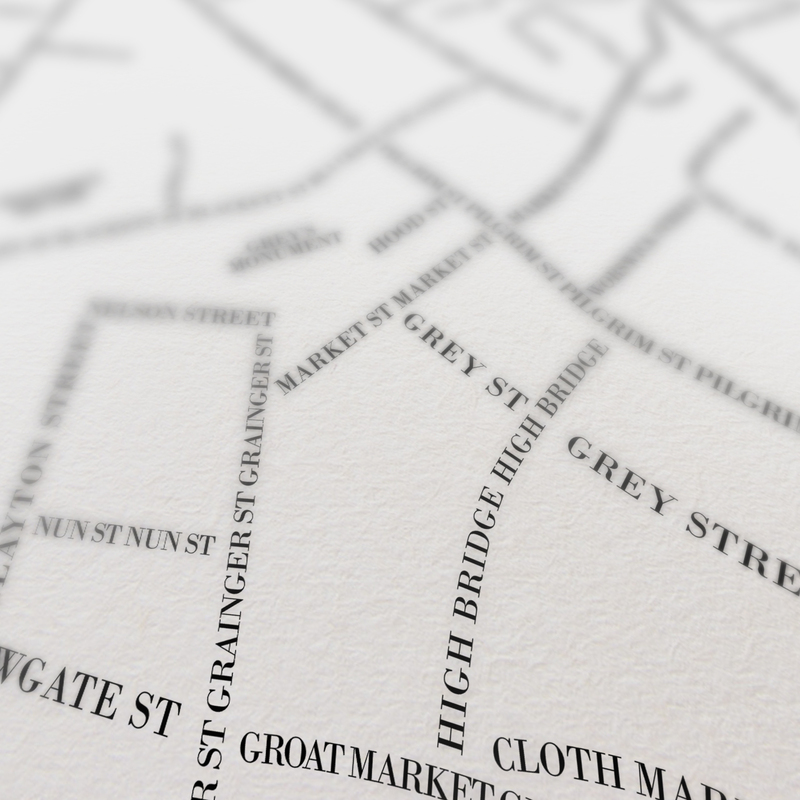 The map was created by myself using Adobe Illustrator so can be scalable to print in detail at any size. Please comment and let me know what you think. All critiques are welcome.